This press photograph is all the information currently availabe about Robert Hyde and his steam car. 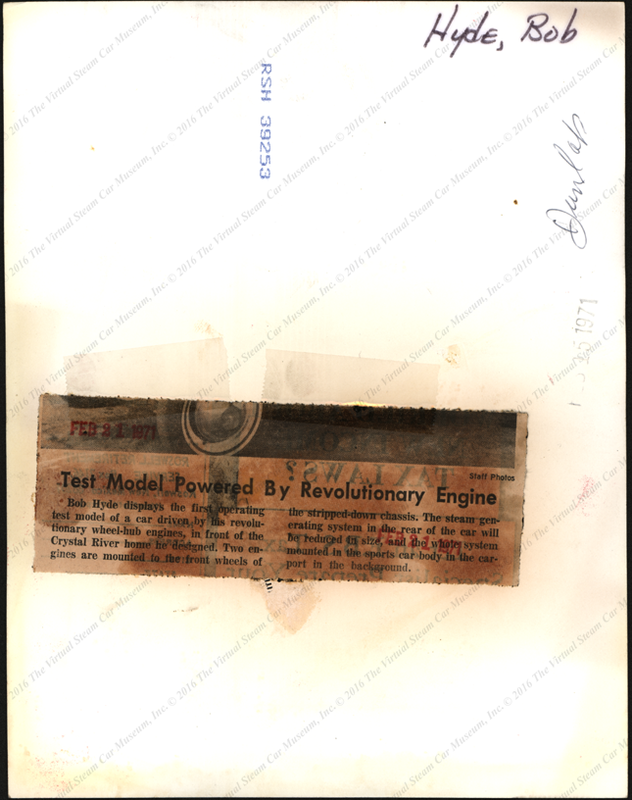 This February 21, 1971 Press Photograph is all the information available on Robert Hyde and his steam Car.. 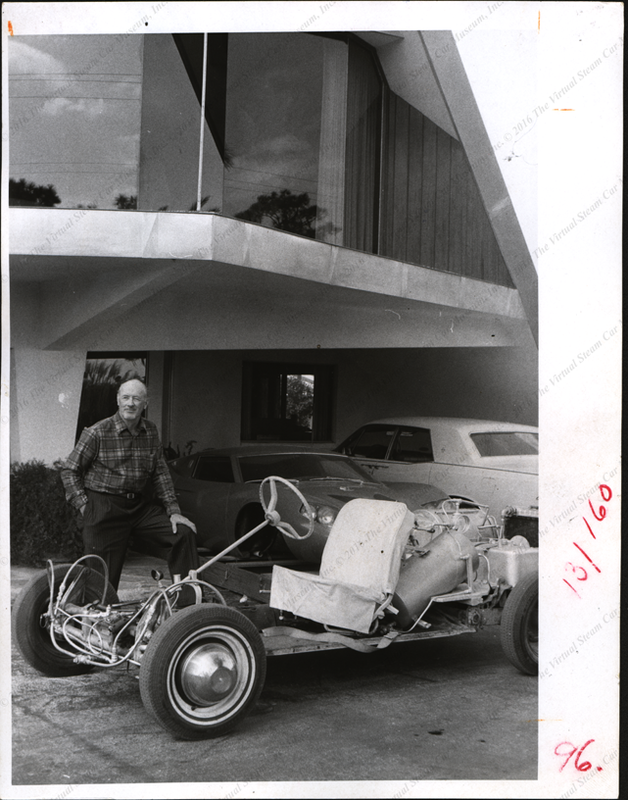 Contact us if you have additional information about the Robert Hyde's 1971 Steam Car, or if you have questions.